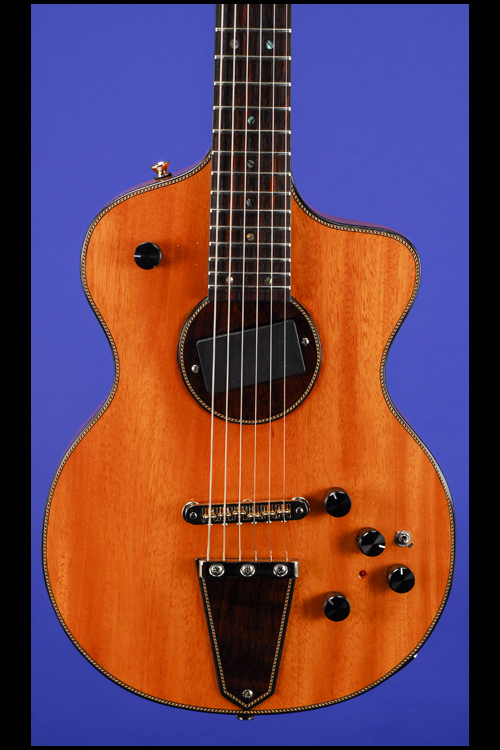 Model 1 Lindsey Buckingham Guitars | Fretted Americana Inc.
2012 Rick Turner Model 1 Lindsey Buckingham. This 2013 NAMM (actually built in 2012) Rick Turner Lindsey Buckingham Model 1 weighs just 6.70 lbs. 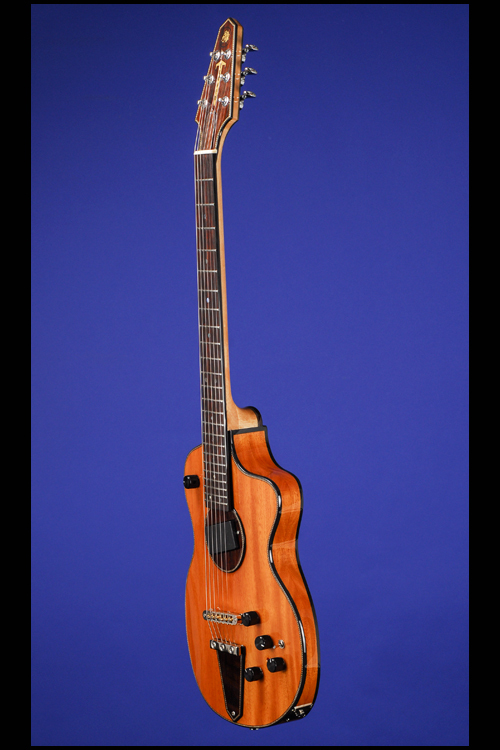 and has an 11 3/4 inches wide and just under 2 1/2 inches deep, solid Honduras mahogany body with two 'soft' cutaways. 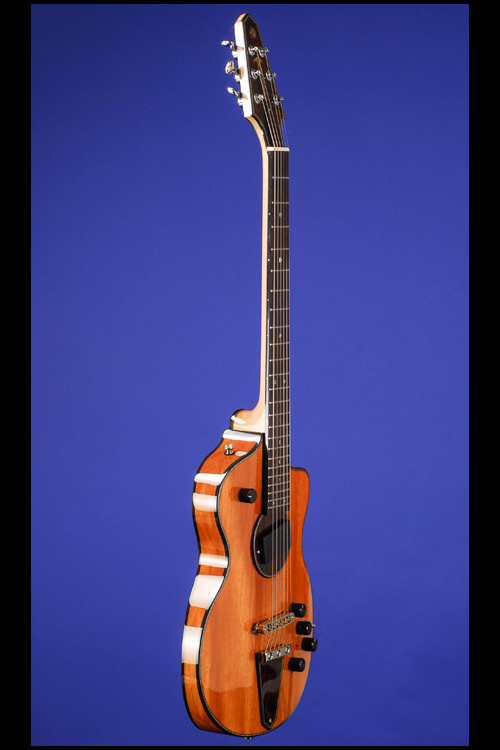 The top of the body and the face of the headstock are purfled with an intricate marquetry design over black pyralin.The top of the guitar has a 'custom' 4 inch diameter 'rotating' rosewood panel (to which the pickup is fitted) also with intricate marquetry around the edges. Three-piece maple neck with two mahogany center strips and a very wide nut width of just under 1 3/4 inches, a scale length of 24 3/4 inches and a wonderful really thick profile. 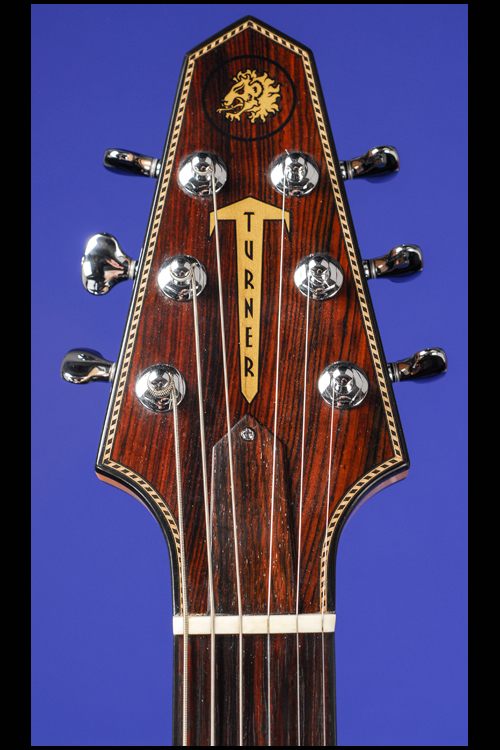 Veneered rosewood headstock face with Rick Turner "Lions-Head" emblem in gold with black circular border. 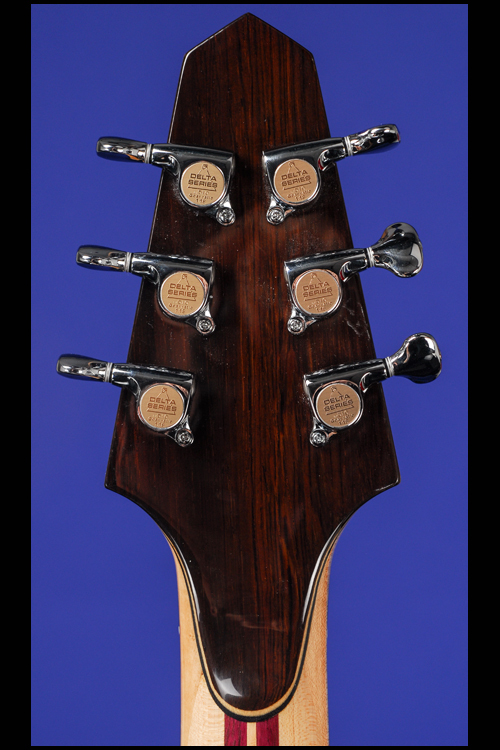 Headstock with identical black pyralin and purfled 'marquetry' border. 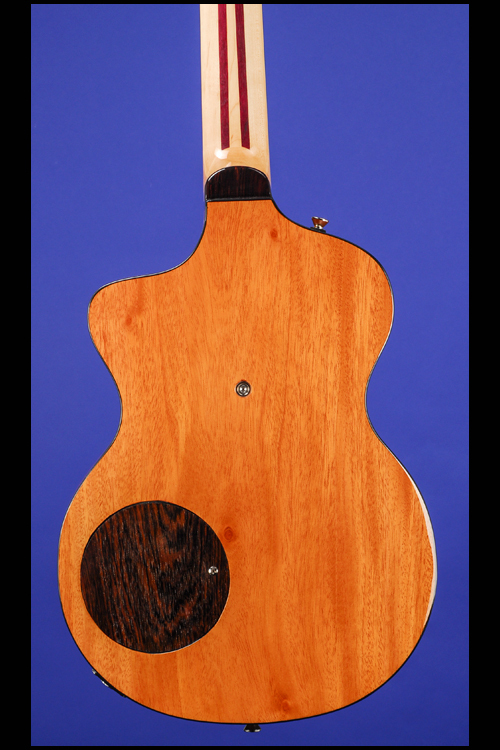 Rosewood 'specific' shaped truss-rod cover with single screw. Individual Gotoh 510 chrome tuners with heart-shaped metal buttons. Serial number "12 3178" stamped in blind on top edge of headstock. 'Slab' rosewood fretboard with 24 medium-jumbo frets and New Zealand Paua shell dot position markers and side dot markers. 'Rotating' Rick Turner hot-wound magnetic hum-cancelling pickup in the neck position with an output of 15.20k. Rick Turner Piezzo system pickup in the bridge position. Five controls including passive master volume, passive master tone with push/pull coil-tap, sweep control for quasi-parametric EQ, EQ 12db boost/cut, magnetic/piezo blender and two-way mini toggle switch for engaging 'QP' EQ and one status LED for 'QP' EQ. Ebonized metal control knobs with ribbed sides and metal tops. 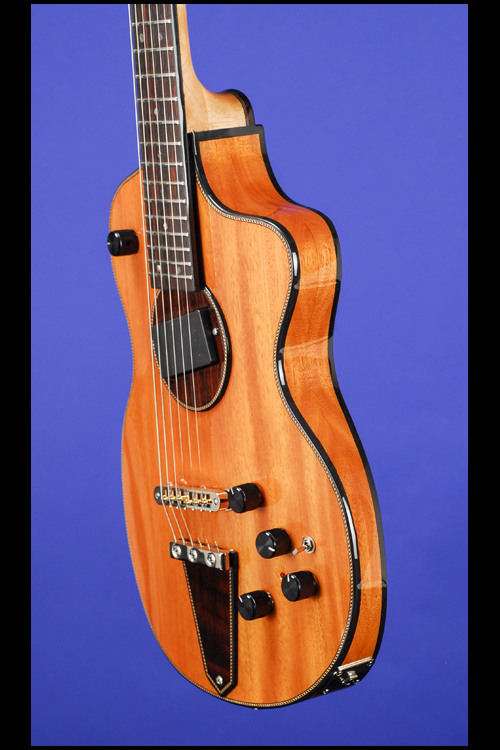 Nashville style Tune-O-Matic Piezo bridge with individual custom-made metal saddles and chrome stop-bar secured by three screws and custom rosewood 'battery cover. 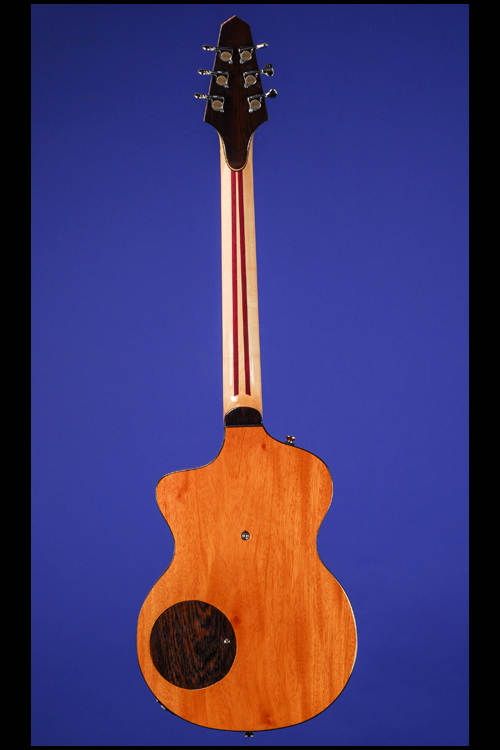 Circular rosewood control cavity cover on back of body secured by one screw. This mint (9.50) condition guitar is housed in the original Access Stage 3 HT electric guitar heavily-padded black gig-bag (9.50). Ever since Lindsey Buckingham took delivery of #79-003, the Model One guitar has been highly sought after for its combination of Old World aesthetics and modern, full-bodied tonal range. Played clean, it sounds incredibly acoustic and detailed. But when the volume kicks up, it screams louder and longer than any guitar you've played... without unwanted feedback or breakup. First, switch the EQ out. Then adjust the tone control all the way up and then blend back and forth between the magnetic and piezo pickups. This is very different from the usual Les Paul or Strat pickup selection, and acts more like a zoom lens on a camera ranging from the more mid focused sound of the magnetic pickup to the more acoustic and wide range piezo pickup, which actually has more deep lows as well as more extended highs. When you are in the "just magnetic pickup" position on the blend knob, try pulling up on the tone knob to access the single coil sound. That is a sound more akin to the middle pickup on a Strat. When you've learned your way around without the EQ, find a tone you like and then kick in the EQ with the Boost/Cut knob turned about 1/2 of the way up from the middle detent position. This would put the knob line at the 9:00 position relative to the detent being 6:00. Then sweep the middle frequency knob to hear how the boost affects tone at different registers. For the full out sound, crank the EQ boost all the way up and repeat the frequency sweep. If you are playing into a tube amp or distortion unit, you can use the EQ to voice overdrive harmonics. Lesser boost is great for finding nice tones into a clean amp as well. While most folks don't use the "Cut" feature of the EQ, that, too, has some very nice uses. "Lindsey's main electric guitar onstage has long been the Turner Model 1. In his early days in Fleetwood Mac, the story goes, Lindsey played a Fender Telecaster which suited his fingerpicking style. The rest of the band eventually made him switch to a Gibson Les Paul, which they felt more appropriate for their sound, but Lindsey was unhappy with the feel. 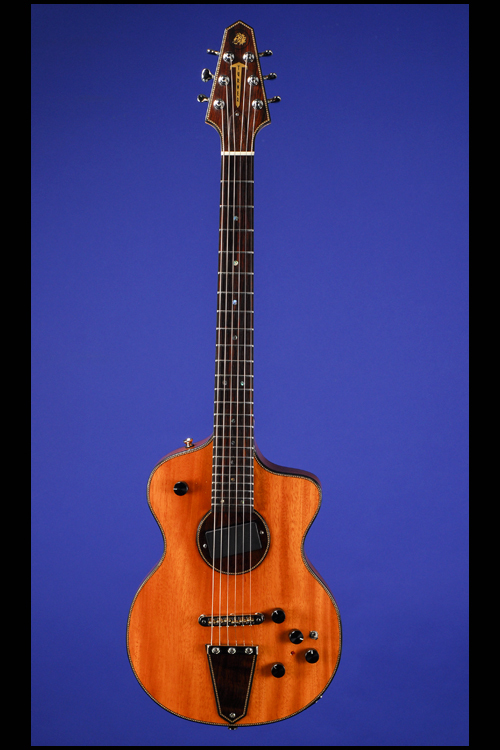 Upon playing an acoustic guitar made by luthier Rick Turner during the Tusk sessions, Lindsey asked Rick to construct a guitar that was a cross between his acoustics and a Les Paul. 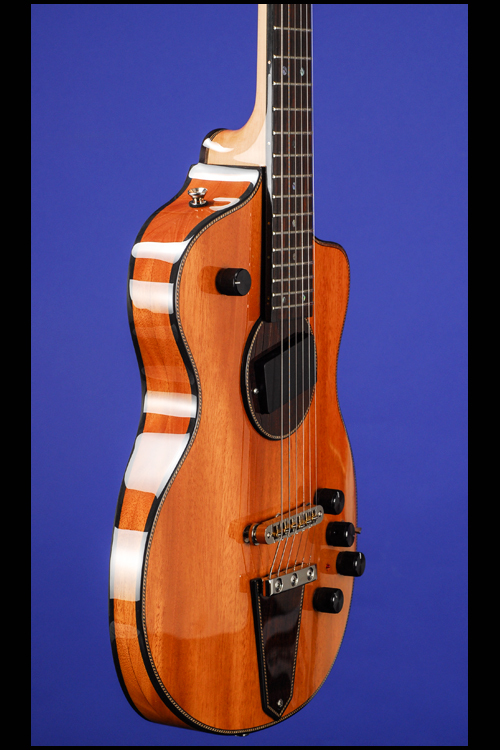 The resulting guitar, which turned out to be a Model 1, had a more percussive response to fingerpicking as well as a tone similar to that of a Les paul. Although he rarely uses it in the studio, Lindsey has played the Model 1 almost exclusively onstage since." (The Unofficial Lindsey Buckingham Guitar Site).